Our Post welcomes your input. Please forward your comments, opinions, and ideas how we can improve the things we do, the assistance we offer to Veterans, or our opportunities we offer through our youth programs. Please send us your photos, notices of special events, your fundraisers and other items of interest that enhance the quality of life for the veterans, their families, and citizens of our community. Our Post, at it's sole discretion, will publish your contributions we feel are merited. Express yourself. 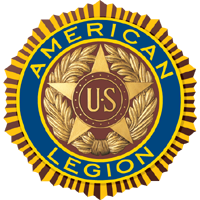 Become an active member of our American Legion community.